Rachel Ward (Against All Odds) plays an Aussie teacher who is kidnapped along with her students by a posse of criminals. However, the nasty kidnappers don’t count on the resourcefulness of the teacher and her pupils. Although it’s a made-for-TV movie, this genre-bending Aussie production has all the elements of a great thriller; Fortress is gripping, remarkably suspenseful, and darn smart. It’s also packed with unexpected twists and turns. Tautly directed by Arch Nicholson from a script by Everett De Roche (Long Weekend), Fortress is loosely based on a real-life kidnapping case that took place in 1972 in Australia. The kidnappers, who were captured and convicted, claimed that they got the idea after watching the movie Dirty Harry (the film’s main villain, Scorpio, kidnaps a school bus filled with students). The film’s first scenes are Disneyesque. Before you know it, Fortress has turned into a violent survivalist thriller. The sense of danger is genuine. Movies tend to spare children and pets, but here it is made perfectly clear that the kids can be killed at any given time and that’s disturbing to say the least — this isn’t for the fainthearted! Rachel Ward is superb as the teacher. 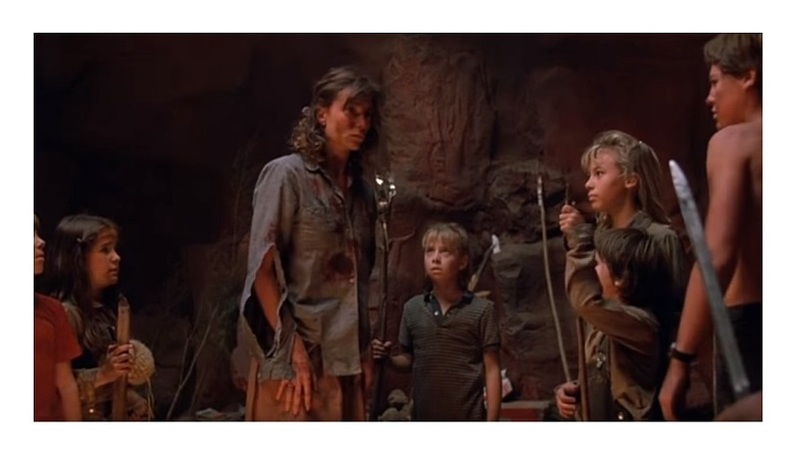 I love how she goes from prim schoolmarm to knife-wielding, gun-throttling “grizzly mom.” At some point in the movie, Ward’s character realizes that she has to play dirty if she wants to keep her students safe — I guess you don’t mess with a teacher’s pupils! 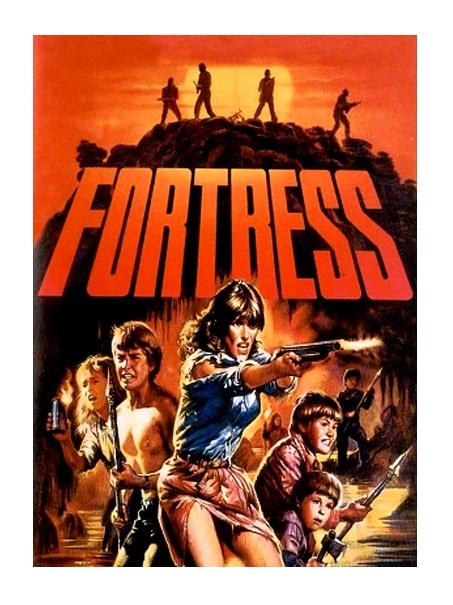 Fortress also has a touch of William Golding’s classic Lord of the Flies — the kids are forced to become killers! This isn’t violence for the sake of violence. This is violence as an appropriate means to fight abuse and oppression. The film makes a point that once survival instincts kicks in, there nothing a person — young, old, male, female, rich, poor — won’t do to stay alive. Fortress is a little-known, but engrossing thriller that succeeds in defying expectations. Give this ‘Down Under’ suspense-packed movie a chance, you won’t be disappointed. Highly recommended! Color, 85 minutes, Rated R.
Many thanks for the headsup, and the review. I gotta lay hands on this — it sounds tremendous. I see there’s a copy on YouTube — lo-res and with Czech subs, but needs must, etc. Oh this sounds brilliant Eric. Australian film has such a wonderful charm to it, big fan but haven’t heard of this one. Off to investigate.